Every customer is important to us. That's why we offer the same price and top quality service to everyone. We even give new customers a free scan to try us out! Buy as many credits as you like with our easy "Pay As You Go" payment plan. We offer the same cutting edge service to all of our customers and have no confusing price tiers. Once registered, we have easy payment links in your account pages to top up your balance with either a bank card or a PayPal account. 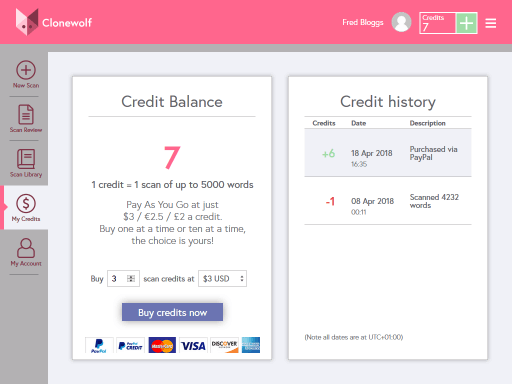 PayPal is the default payment gateway for Clonewolf, but you don't need a PayPal account to buy credits. 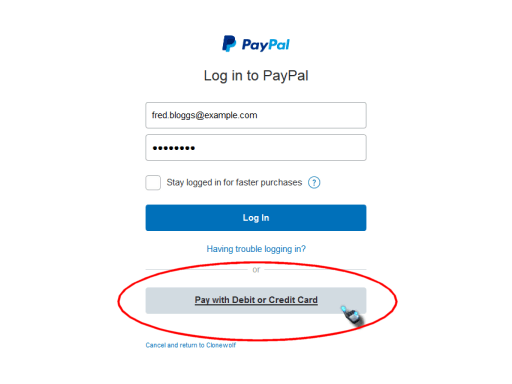 To pay with a debit or credit card, click the "Pay with Debit or Credit Card" button on the PayPal screen.